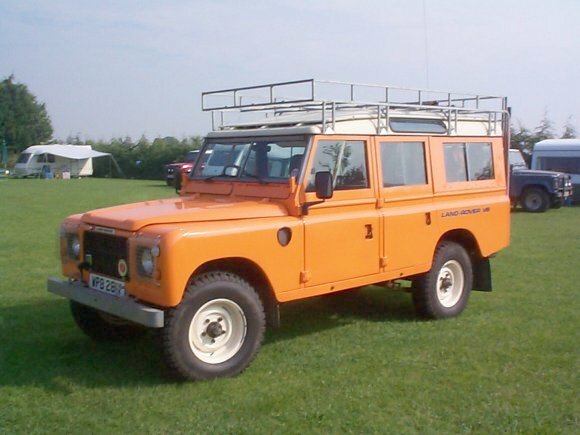 The web site was originally created by Darren Burgess when he was the owner of the vehicle shown above. In October 2001 I bought this Stage 1 from Darren and for a while he continued to host the site. However after some time he realised that he no longer had time to look after the site and decided to close it. Even though I don't expect to be able to spend as much time as I'd like to on developing the site I thought it was a shame to lose the information which Darren had collected and asked if he would let me host it. He agreed and this is the result. As of December 2003 I have re-instated the Technical Pages and Gallery with some minor amendments to reflect their new home. 17 December 2017 : Moved to a new server. Let me know if anything isn't working as expected. 16 April 2017 : Added a photo from Gary McDonald to the Gallery. 15 January 2017 : Gallery updated with photos from Frank Buehler. 5 March 2009 : Document Index added. 29 October 2005 : Added photos of engine bay of a vehicle which was up for sale at the East Anglian Off Road show 2004. 23 September 2005 : Added photos of overdrive installation taken by Terry. 22 January 2005 : I've added a forum for discussion of all matters related to the Stage 1 V8. Feel free to join in.